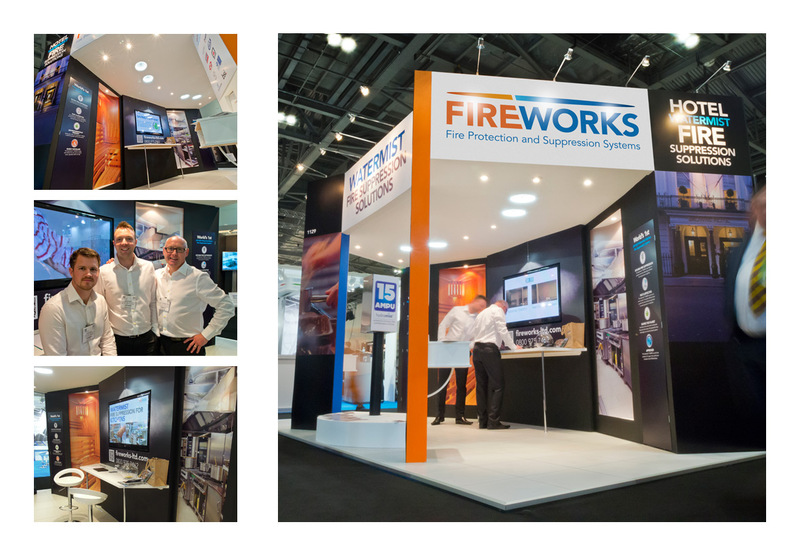 There's good exhibition stands, and there's great exhibition stands. 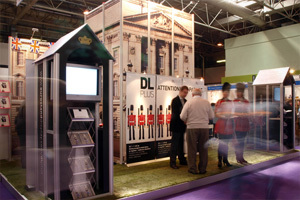 Ours always communicate the right message and maximise the effect of the space that clients have paid not an in significant sum to the exhibition providers for. 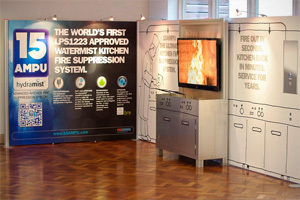 We can work with client's existing kit, or introduce you to a whole host of ingenious systems the world has to offer. 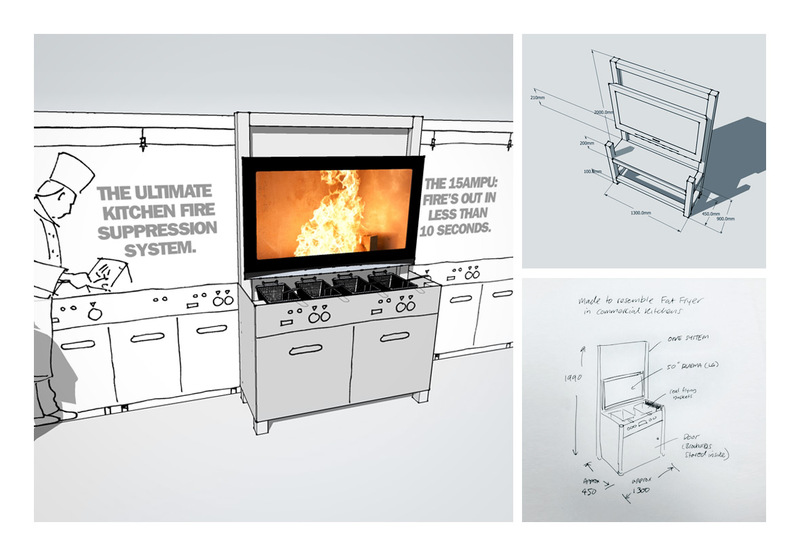 Or one it hasn't seen yet. 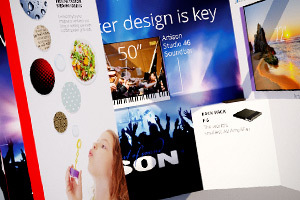 One thing is guaranteed, our creations give the maximum 'bang for your buck.' 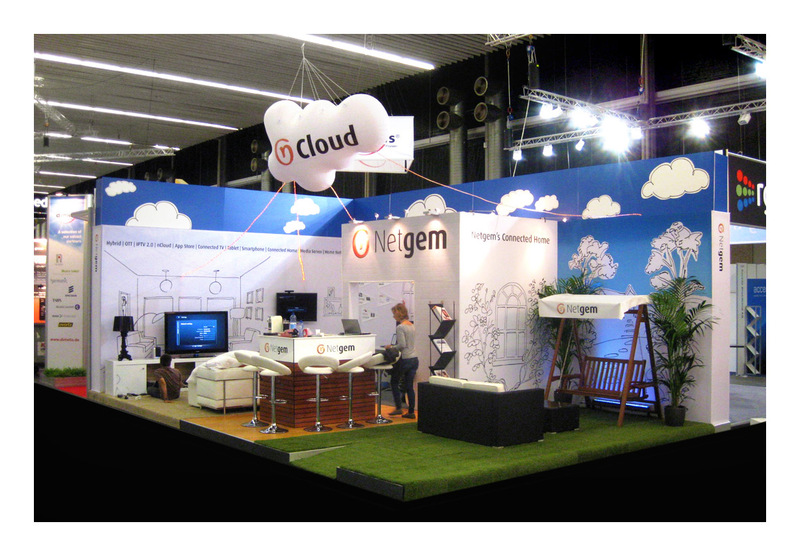 We say if you're going to do it, do it right. 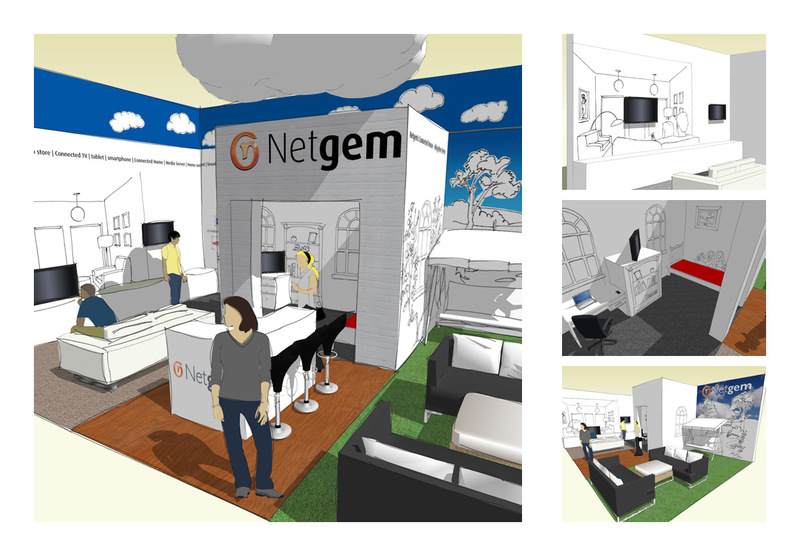 Start the ball rolling today - come see us at our Essex studio, or we'll come to you. 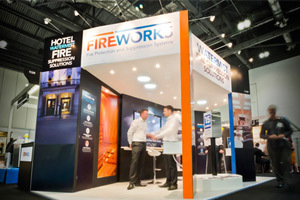 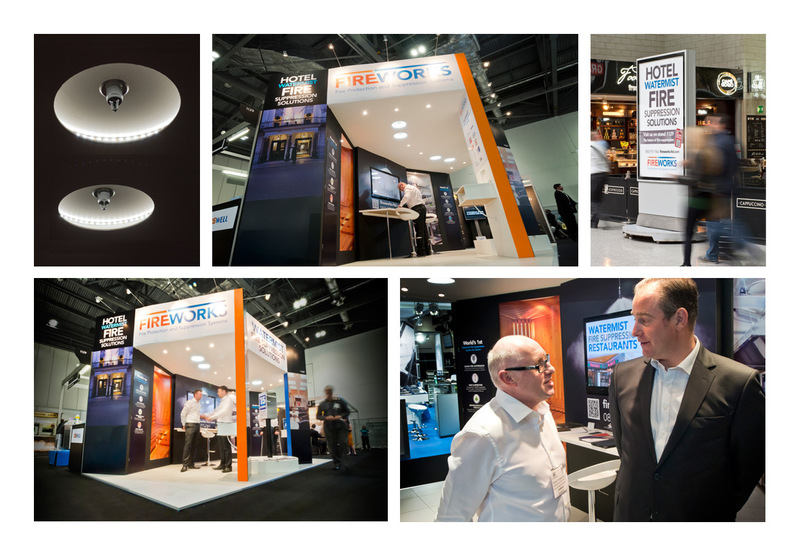 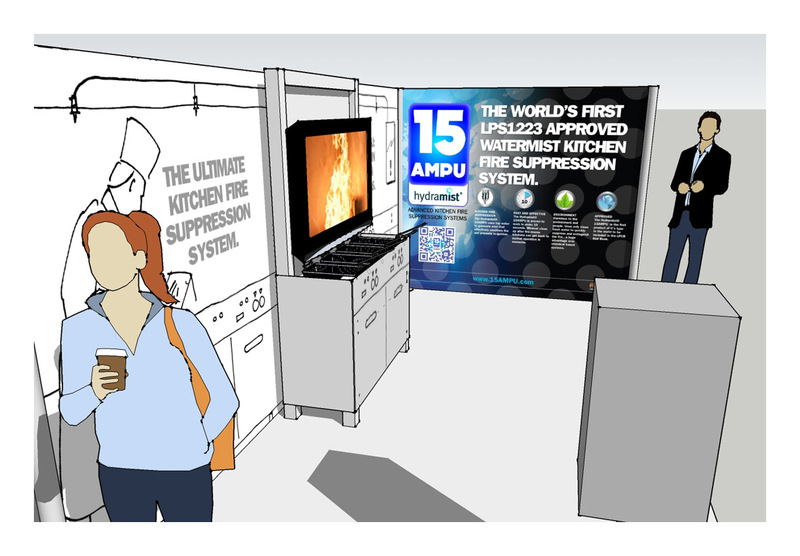 In collaboration with Don Jones Design, we produced this successful bespoke exhibition stand for Fireworks Fire Protection, that took pride of place at Hotelympia 2014 at London’s Excel Exhibition Centre. 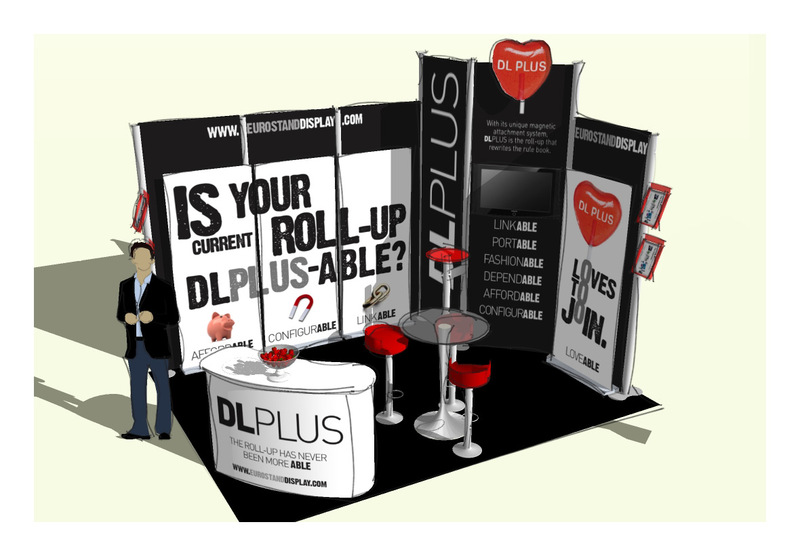 Design and 3D visualisation of a stand for an innovative speaker technology supplier. 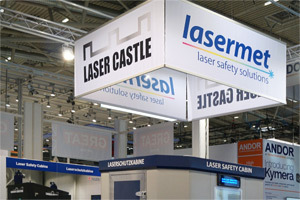 Featured inset products, bespoke speaker cloth graphic, overhead signage and monolith with two sided display. 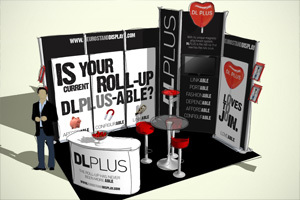 A modular display system was taken to the highest level of customisation for Essex based company. 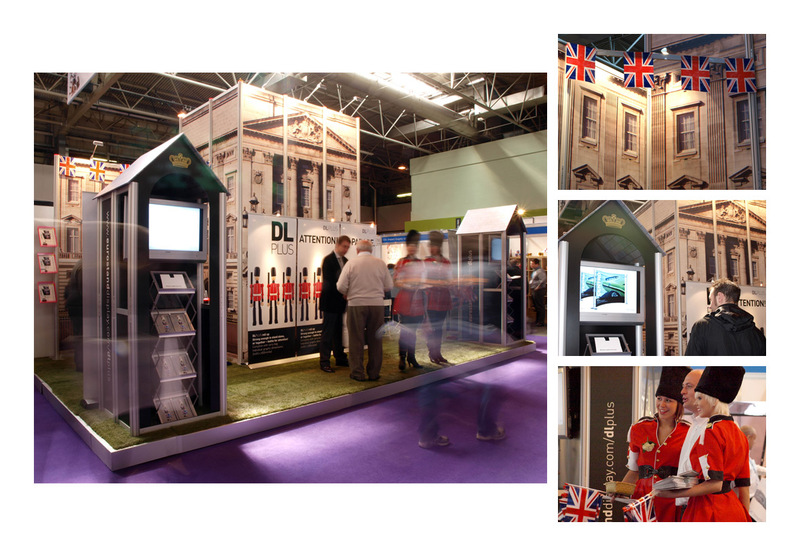 We recreated Buckingham Palace at this B2B exhibition. 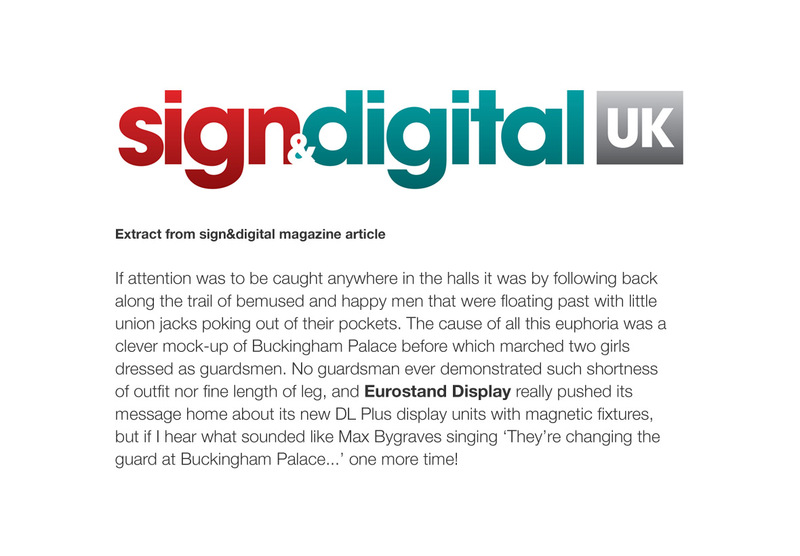 Changing of the guard also happened on the hour! 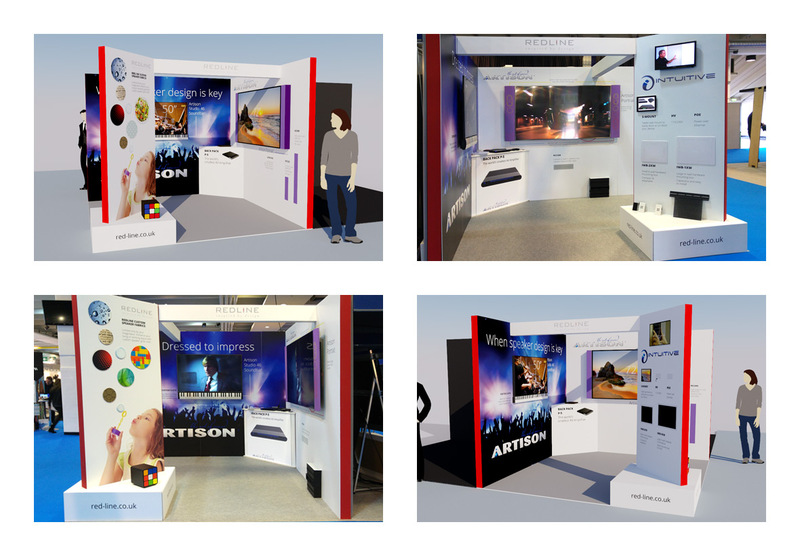 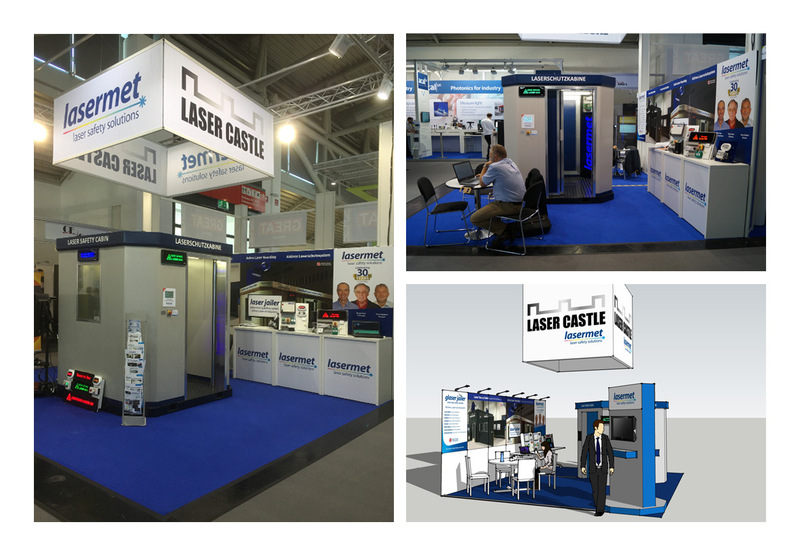 Exhibition stands all differ from each other - having different challenges to overcome. 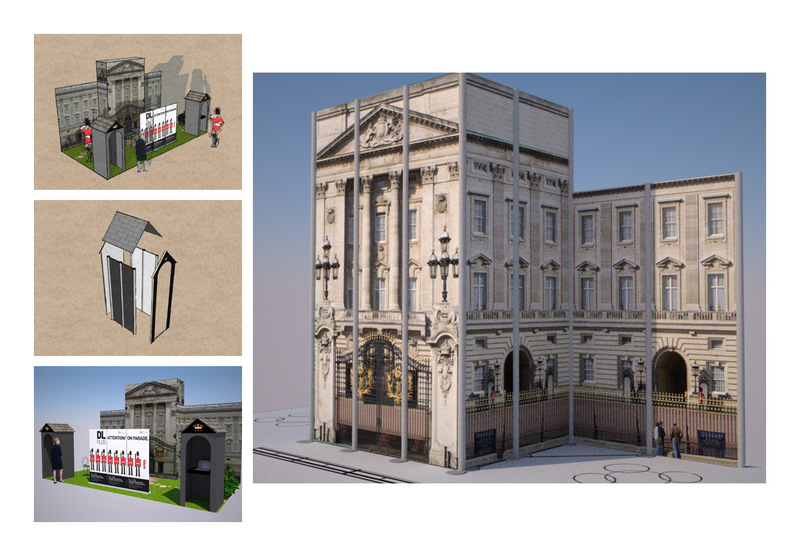 We create scale 3D visuals so you can test all layouts with us before actual production and build. 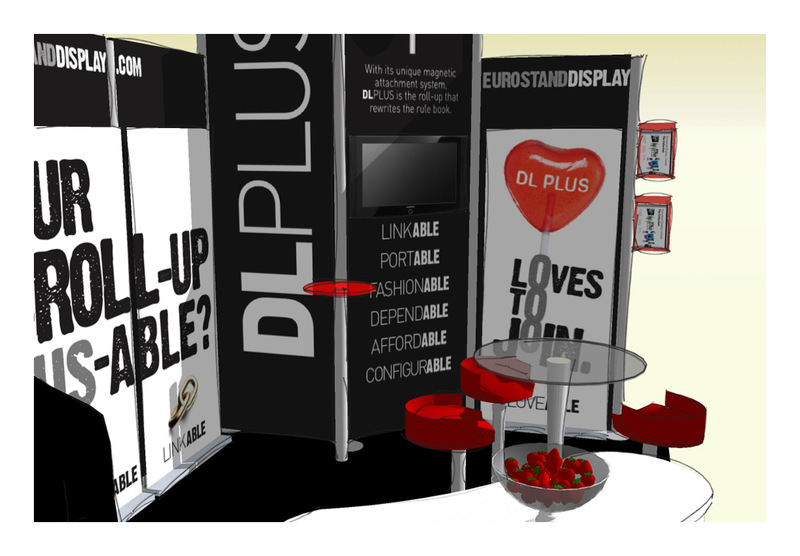 Concept and 3D visualisation of a small exhibition space displaying various new portable display systems, theming around a lollipop hearts which were distrubuted by 'Queen of Hearts' team of girls. 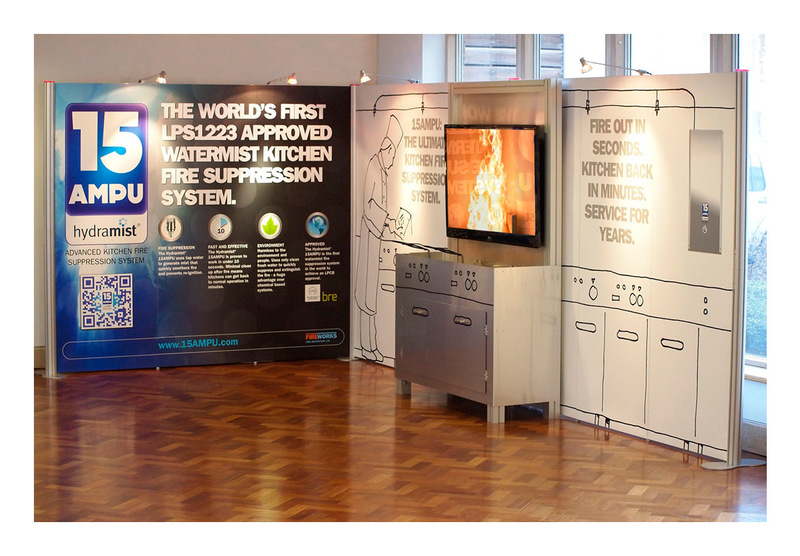 This portable modular aluminium display system and bespoke dummy fryer unit was concieved and created for a product launch and presentation. 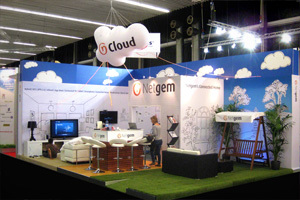 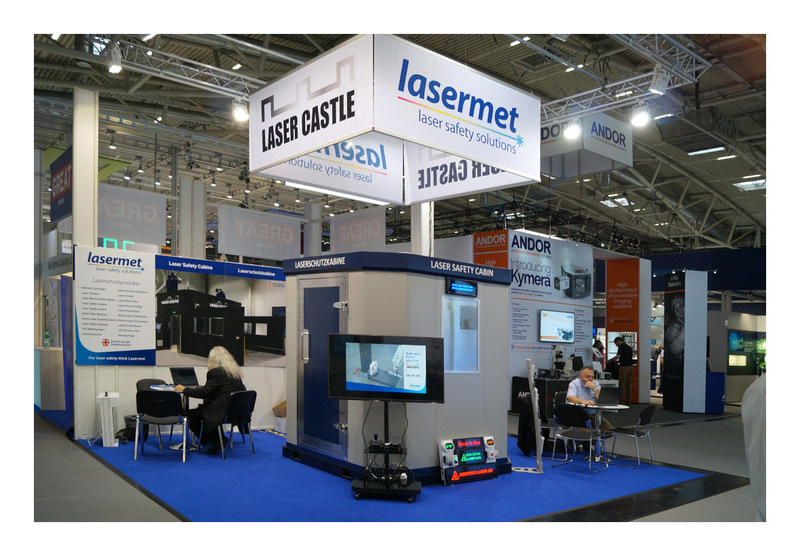 It has also been on European travels to trade exhibitions.